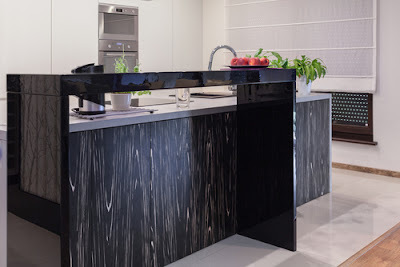 Singapore is known for its very competitive market and because of that, people always have plenty of choices when it comes to buying certain products. This also applies for roller blinds, a very popular and needed accessory, especially in Singapore. Because of the high urban congestion, people strive for some extra privacy, and roller blinds are the best way to achieve it. They are some adjustable, easy to mount accessories, which will provide privacy, block the bothering light and give a nice design to your home or office. However, there are some things that any of us should know, before purchasing roller blinds. The following article aims to explain the entire process and what are the things that you need to know, in order to choose the best roller blinds for your home or office. Like we've mentioned before, roller blinds are some accessories. And like any other home or office accessory, they should be able to fit into the actual design of the room. That's why, it's extremely important to visualize how are they going to look like and if they will complete your room design. For example, if your room has only grey colors, it would be inadvisable to opt for a strong color like deep blue or red. You need something that will blend with the room's colors. If you don't want to take any risks, you can buy some brown roller blinds. They are common but they fit perfectly in almost every room. Besides colors, roller blinds come with different systems and options. Depending on how you want to operate them (manually or automatically), you can choose between spring or chain roller blinds. They both have advantages and disadvantages and it's entirely up to you, which one you choose. 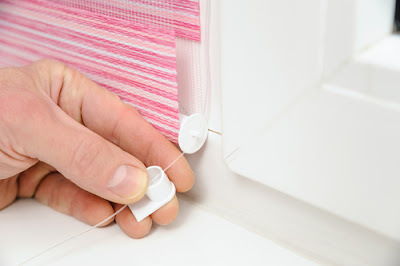 For example, with spring operated roller blinds, you can close and open them with a simple press of a button. However, they often tend to break and fixing them might cost you some extra cash. Chain roller blinds can be operated manually, and you can adjust them as much as you like. Still, many people don't want to keep closing and opening them all day, and opt for a spring model. Let's face it! The most important feature of a roller blind is the light blocking capability. However, not all the models can provide that. A lot of people are complaining that their new roller blinds are not able to hold up the light, not even when they are completely closed. Considering this, you must be extremely cautious before doing the purchase, because you don't want that. There are many materials and colors, some good for blocking the light and some, not very effective. But the best way to check that is by testing the roller blinds by yourself. It's actually very simple. All you need to do is go to a showroom where your favorite roller blinds are exposed and do a simple test. Close the blinds completely and put a small flashlight or any other source of strong light on the other side of the blinds. If you're not able to see the light, then the roller blinds are doing their job. Remember that this is an important purchase and you should test it before. Besides their utility and operation mode, roller blinds come in a wide variety of designs. The most common model, used in Singapore is the envelope design. They look extremely stylish and whenever they are being pulled down, they create that nice envelope form. If you want to opt for a more uncommon model, you should go with the castellated blinds. They will fit perfectly in your home or your office. They look very imposing and when you close them, the bottom edge will look like a castle's window. You can afford to be selective when it comes to a roller blind design. They will fit well in every type of room and they won't obliterate the current design of your room. This is another important aspect and you should make your choice, depending where you want to place the roller blinds and on the size of your windows. For example, if you need new blinds for some really large windows, you should opt for some vertical blinds. They will cover the whole window and won't leave any empty spaces. More than that, they will be simpler to operate and won't bother you when you try to open the window. If you cannot find a proper size to fit your current window, you have to know that there are many companies, which will deliver you customized products. Don't do any compromise and buy a different sized blind, just because you didn't find a perfect one. 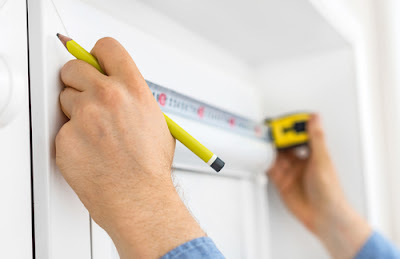 Take your window's measurements and go with them to a specialized provider. They will deliver you the right roller blind and some of them, will even install it for free. Even though they're extremely helpful, cord operated roller blinds can prove pretty dangerous, especially when you're installing one in a child's room. Some unexpected situations may happen all the time, so it's for the best to prevent them from start. Singapore has some very clear laws, regarding children's safety, but you should take some extra cautions. The best prevention method is to opt for some cordless roller blinds. They can be operated with the press of a button or even with a remote control. This way, you won't risk anything and your child will be kept away from the temptation of playing with the cords and cause an accident. As you can see, you have to consider a lot of things before choosing the perfect roller blinds for your home or for your office. Still, the decision is entirely yours and you need to pick the perfect model, based on your own needs and preferences. Think this thoroughly, ask for reviews and test every element, because this is an important product, that you're going to use many years from now.